Scottscope Talk Radio 3/22/2014: Bustin' Out Of The Boondocks! On this week’s edition of Scottscope Talk Radio, the roundtable will be discussing Aaron Mcgruder’s departure from The Boondocks. Should the show continue on without him? Will it even be worth watching? Might it actually be better off without him? Given that the show bears relatively little resemblance to comic strip it was based on, would it be fair to question his actual level of involvement up until this point? Was his abandonment of the property inevitable? What of his new show, Black Jesus? Given the controversial nature of his humor, is McGruder truly a master satirist, or just a petty, self-hating provocateur? 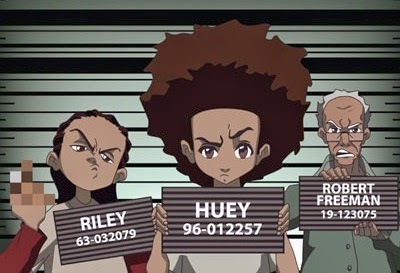 Is the animated iteration of The Boondocks truly meant to provoke thought, or is just a mean-spirited minstrel show that denigrates Black America?